Dentures are false teeth which are used for replacing the lost teeth. They are removable and can be either complete or partial. Complete dentures cover either the entire upper or lower jaws. When the number of teeth to be replaced is either one or a few partial dentures are used. Even if best quality dentures which are manufactured using the latest available technology they will not be able to provide the strength and appearance of natural teeth. Once the teeth are lost the worn out technology of dentures cannot provide an alternative to the lost teeth as they are always accompanied by pain, discomfort and some sacrifices in the ability to eat naturally. Dental implants make use of the latest advancements in technology and allow the implantation of teeth route in the jaw bone upon which crowns or dentures are placed. This gives a natural and beautiful appearance and ability to eat the required food and talk in more natural way. If you have a missing teeth there is every possibility that misalignment may occur to the teeth on either side of missing tooth which can result in the erosion of the beauty of your smile. Dental implant is a sure solution for a missing single tooth in which root of teeth to be replaced will be implanted in the jaw bone and a crown matching to your teeth pattern will be placed over it which will help you not to lose the charm of your smile and live as if nothing has happened to your teeth. Missing of multiple teeth is a serious problem as the support structure of your jaw bone starts eroding. To avoid this deterioration and further cumulative problems it is better to think about dental implants at this stage. In dental implants foundation for the replacement of crowns are done by fixing artificial roots in the jaw bone where your missing teeth were located. After placing the crowns or dentures above the implants, you feel and look as if nothing has happened. Although the ideal protocol is one tooth per implant this can be extended to suit the convenience of individual cases and entire teeth on one jaw can be completed by eight or nine implants. If you have one or more teeth missing the first thing to do is to meet a implantologist who will conduct a detailed examination of your jaw bones, gums and the existing teeth. He will also evaluate the matter with the help of X-ray photographs. Then he will explain to you his findings and suggest the most appropriate solutions for the problems you are facing. It is better that you may bring one of your friends also along with you when the doctor is discussing the course of action to be taken. The financial mattes connected with the procedure will be explained by the doctor privately considering your financial constraints that you may be experiencing. Is the dental implant a painful procedure? The surgical fitment of dental implant is an easy and less painful process just like the removal of one of your teeth. Post operative complications are very rare and they are taken care of with advanced technology and medication available in pain management. If you are a person of good general health and the severity of the surgery involved is less then you can go for work on the next day itself. Dental implants have in practice for a couple of decades as an easy solution for the dental predicaments of the patients all around the world. It has been found that the success rate of dental implants around the world is as high as 90 % for the upper jaw(maxilla) and 95 % for the lower jaw(mandible) as the medical technology and other facilities have developed to it its highest peaks. In spite of the high success rate there can be still complications and failures. The probable risk factors are which may lead to failures in dental implant are diabetes, smoking, poor healing power, poor oral hygiene etc. The patient who received the first dental implant in 1965 is reported to be using the same implant till now. This is definitely an unparalleled incidence which can reassure the success rate of dental implants. How successful is the treatment and what is the life of a dental implant? The continues success stories of dental implant has made it the most sought out solution for thousands of patients around the world facing dental problems. Success rate for a five year period is estimated to be around 95 %. If the patient is having good and sufficient bone around the implant area and is practicing good oral hygiene tips then the dental implants can be expected to last till the end of his life. The patient who received the first dental implant in 1965 is still alive and is continuing the successful usage of the same implant. Despite the high success rate of dental implants there can be failures also in a very minute number of cases. This can be due to diabetes, smoking, poor dental hygiene, poor healing power etc. How many sittings will be required for dental implant? 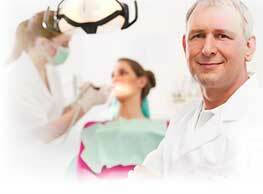 Normally a dental implant procedure can be completed in three sittings. In the first sitting the doctor discusses with the patient about the requirements and explains him the procedure. He also examines and evaluates the gums, jaws and missing teeth studies the case in detail with the help of X-rays and other related technologies. In the second sitting the implant is fixed in the jaw bone with the help of specialized apparatus specially designed for the purpose. In the third sitting temporary crowns are fixed over the implant which will be used for about six months. After this period when the wound has healed completely the temporary crowns are replaced by permanent crowns. Dentures Treatment in ChennaiDentures Treatment in New DelhiDentures Treatment in MumbaiDentures Treatment in KochiDentures Treatment in MaduraiDentures Treatment in BangaloreDentures Treatment in HyderabadDentures Treatment in SecunderabadDentures Treatment in Greater NoidaDentures Treatment in AhmedabadDentures Treatment in Whitefield.